This framed artwork is a vibrant color combination of yellow and blue. 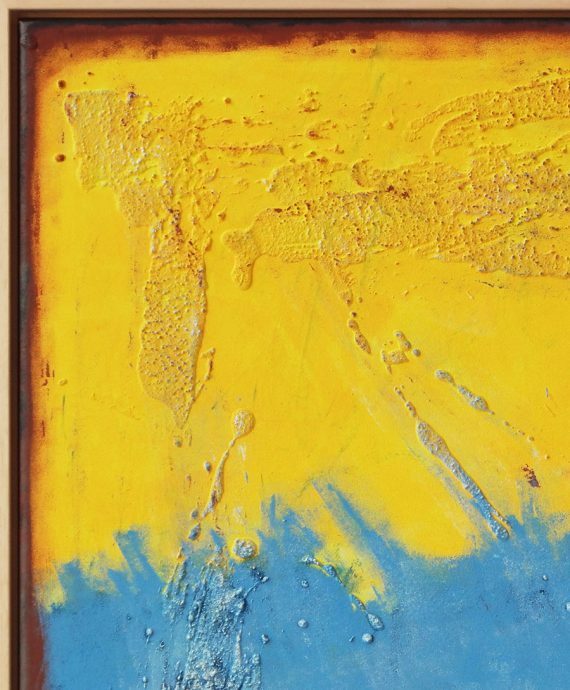 The flow of the colors and light texture brings a joyful vibe in the room. 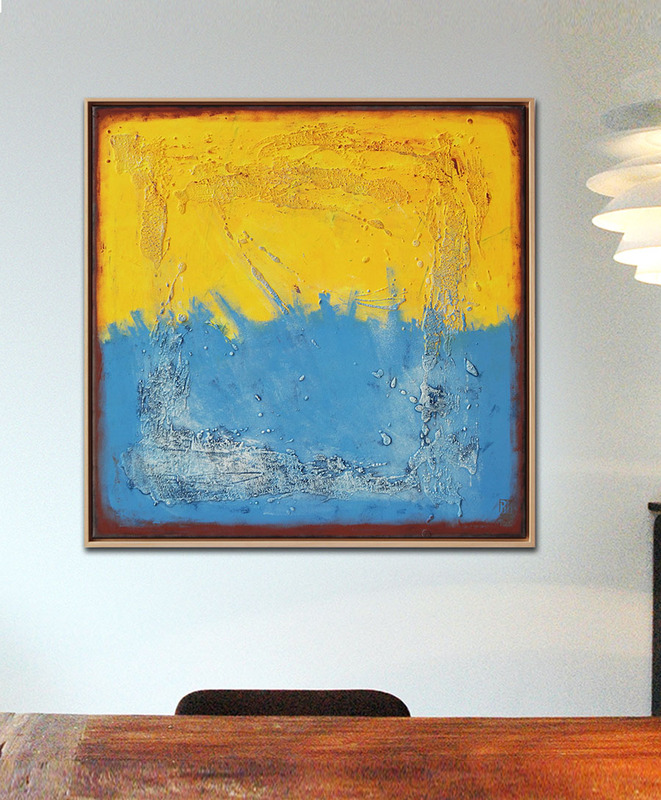 This abstract artwork comes with a natural oak floating frame (made of wood). Buy Framed Artwork – “Once” comes with a natural oak frame. Hand painted by Ronald Hunter. Acrylic paint, with light texture. 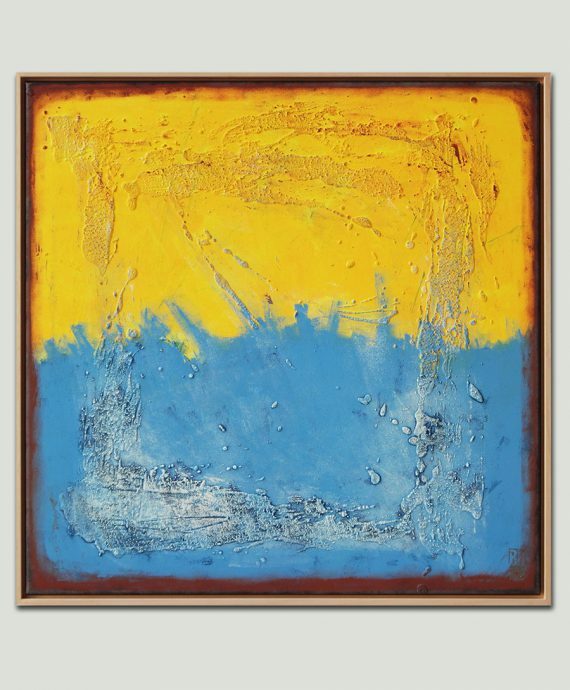 Buy Framed Artwork – This framed artwork is a vibrant color combination of yellow and blue. The flow of the colors and light texture brings a joyful vibe in the room. ‘Once’ comes with a natural oak frame. This is a one of a kind artwork, created and painted by Ronald Hunter. First off, all paintings are signed on the front (with RH initials). Also, each painting comes with an official Ronald Hunter Certificate of Authenticity attached to the back of the painting. Furthermore, you will receive the artwork Ready to Hang, the cotton canvas is stretched on a wooden frame with a hook on the back. 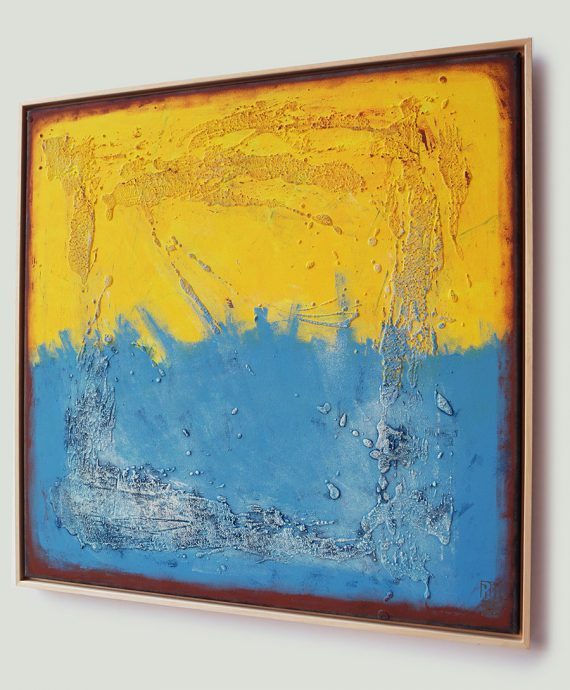 Finally, if you would like to frame the artwork, we offer high quality floating frames – Have a look at our frames here. Orders are shipped once a week. Consequently, please allow 3-5 business days to prepare the order for shipment. Read all about our return and shipping policy in our FAQ page. Want to stay up to date with Ronald’s work and projects? Follow him on Instagram! You will receive the artwork "Ready to Hang": The canvas (made of natural cotton) is stretched on a wooden frame, and a sturdy hook is attached to the back. 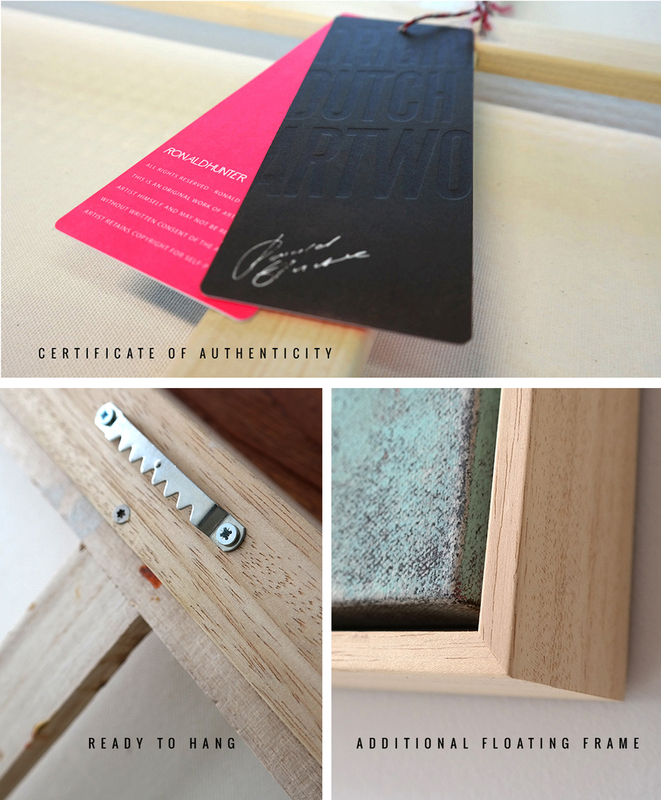 Each painting is signed on the front, and you receive a signed certificate of authenticity. We offer the option to add a floating frame to your artwork.